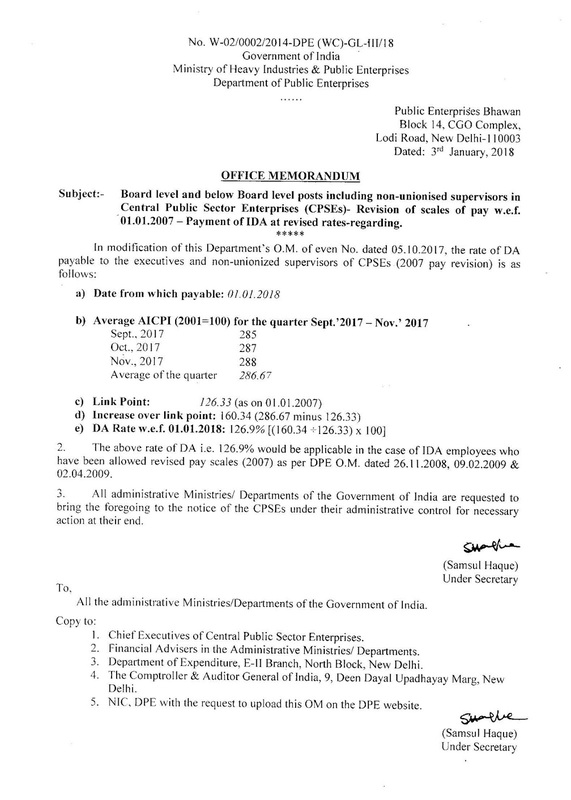 Subject:- Board level and below Board level posts including non-unionised supervisors in Central Public Sector Enterprises (CPSEs)- Revision of scales of pay w.e.f. 01.01.2007 — Payment of IDA at revised rates-regarding. 2. The above rate of DA i.e. 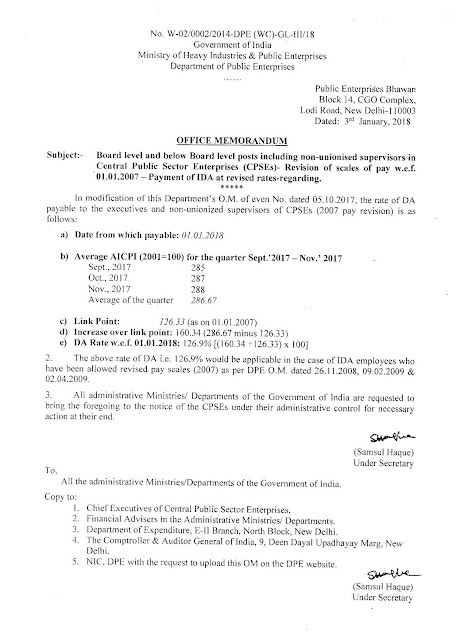 126.9% would be applicable in the case of IDA employees who have been allowed revised pay scales (2007) as per DPE O.M. dated 26.11.2008, 09.02.2009 & 02.04.2009.